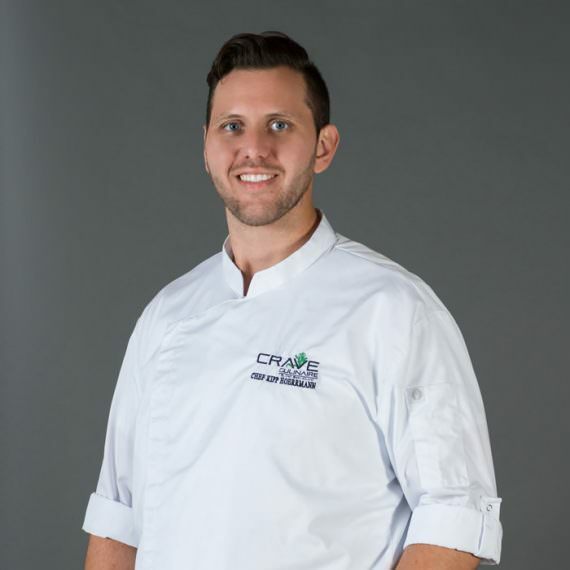 Kipp Hoerrmann Originally from New Jersey and New York City tried traditional college and after one year decided to enroll in the Culinary Institute of America in Hyde Park, NY, to pursue his passion for a culinary career. His interest in cooking began simply because he grew up amongst a family of chefs, restaurateurs, and foodies. He attributes his love of food and cooking to his grandfather and uncle’s, for their success as NYC restaurant owners. Notably his uncle who owned and operated the famed Genovese House in Brooklyn, NY. After completing his culinary education at the C.I.A., Kipp moved to New York City where he worked with top chefs, such as; Chris Santo’s, and Tom Collichio. Above all else his career is a tribute to his Father, who thought that anything his son cooked was the best thing he had ever tasted, and for always believing in his ability to become a successful, professional Chef.